Lunarfurniture.com – The flood disaster can come immediately and cannot be predicted before. If the flood is suddenly come, there are so many people who are getting panic and cannot save so many items and appliances to the safe area. Flood can easily damage the stuffs such as electric devices or even some appliances made by foam or cotton just like bed or sofa. Even, some furniture made by wooden material can get big trouble if it is sunken by the flood water. This processed wooden material is made by the group of small square box wood which is united and compacted by high pressure machine and then it is layered by thin wood on the sides. This processed wooden material outer layer is easily exfoliated if it is sunken by flood water. 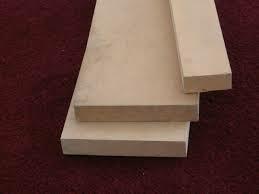 MDF or Medium Density Fiberboard is a kind of layered wooden material. The furniture material is made by wooden smelt which is glued by a kind of resin or wax. The wood fiber of this furniture material is very smooth and stronger than the particle board, but it is weaker than the block board. The Medium Density Fiberboard material is easily damaged by the flood water since it has huge pores which can absorb the flood water easily and getting obsolete easily after that. The furniture material is made by processed wood which consists of rough wooden powder which is pressed. Just like MDF, it has huge pores which can absorb the flood water so that it can be easily obsolete after being sunken by the flood water.